This model is 5' 10" and wears a size M. Their chest measures 38" and the waist 29". Honor the history and legacy of the UFC in these men's pants. 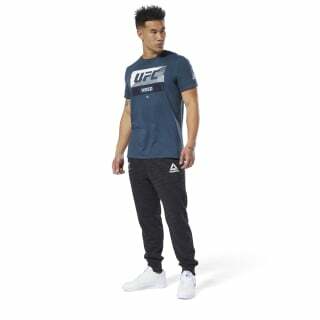 Lightweight French terry fabric offers a soft, comfortable fit for kicking back and watching the fight. 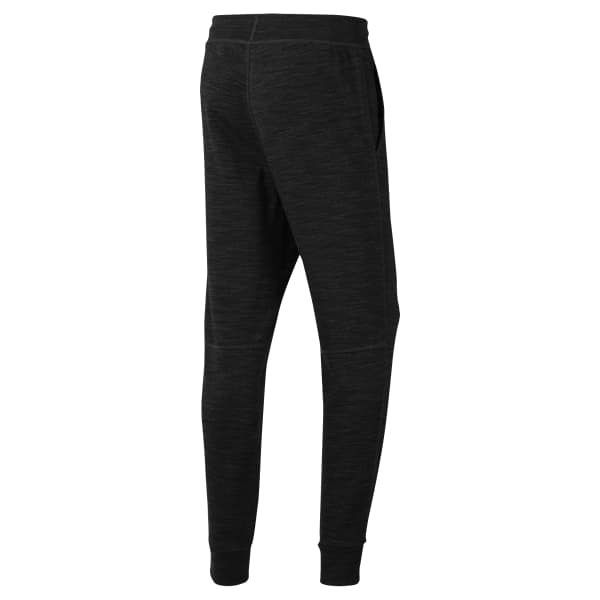 A drawcord waistband helps you adjust the fit, while side pockets add storage.